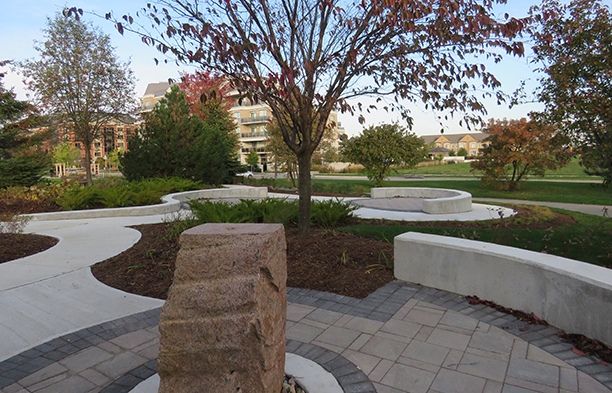 Queen's Diamond Jubilee Park - PMA Landscape Architects Ltd.
PMA was retained by the Town of Aurora to master plan an accessible playground plan for the existing Queens Diamond Jubilee Park nest to the Aurora Town Hall. 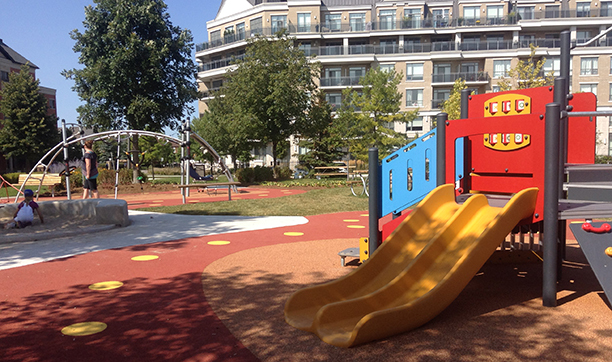 PMA facilitated a number of public open houses where it was discovered that the community was interested in both and accessible play ground and a tranquil flowering garden. 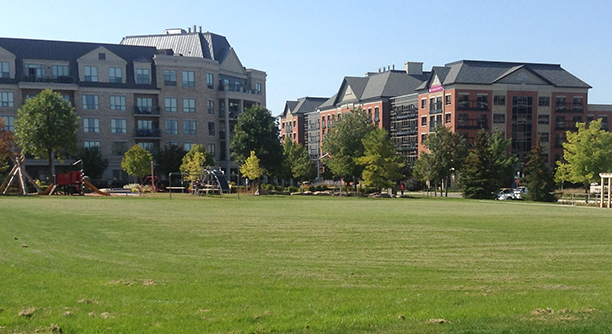 The existing park contained a center green circumnavigated with an oval walkway. The center space provided a non-standard soccer field. Beyond the goals was unused and un-programmed space. 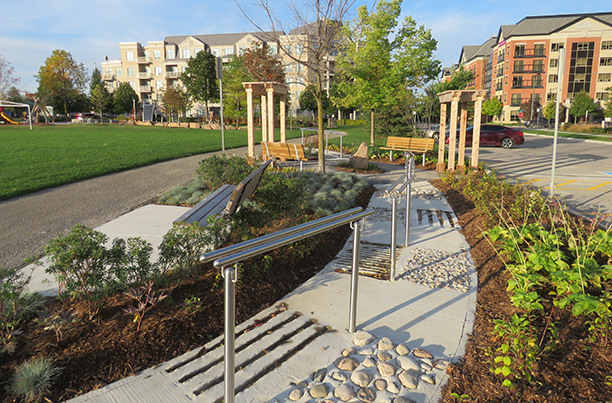 PMA designed the new park spaces of an accessible/inclusive playground and an accessible garden walk. A reflexology walkway way provided along one of the park edges. 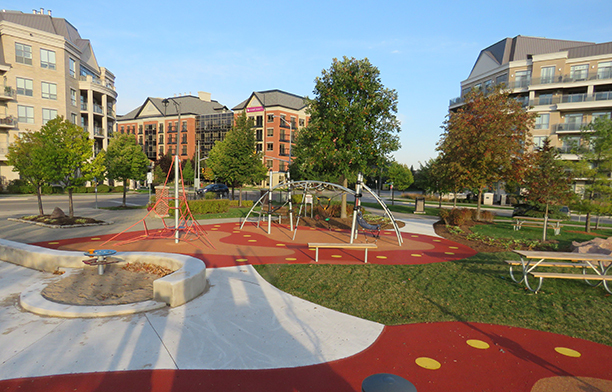 The playground includes accessible playground equipment, natural wood play features, including a willow tunnel and picnic tables for family gatherings. 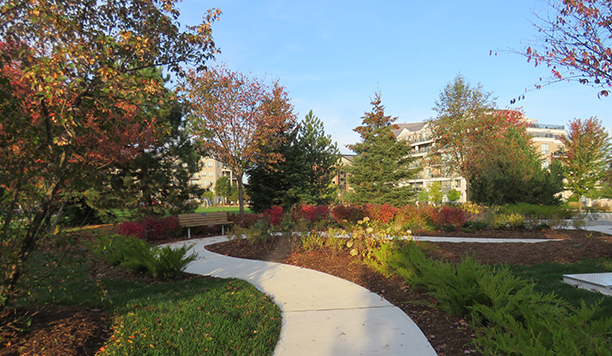 The garden walk is accessible by a continuous walkway with no greater than 5% slope. The garden includes flowering and fragrant plants, a bubbling fountain and two seating areas for future programming.